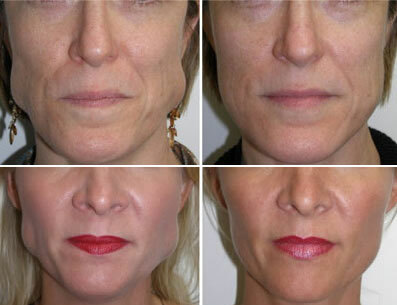 WHAT ARE THE BENEFITS OF INJECTING THE MASSETER MUSCLE? Many patients who grind their teeth can cause an increase in the size of the masseter muscle as well as pain, tenderness and tempero-mandibular joint (TMJ) problems. Teeth grinding can result in headaches, earaches, facial pain, chipped teeth and chewed tissue on the inside of the mouth. Injecting Botulinum Toxin in the masseter muscle provides instant relief from jaw pain, tension and headaches. Patients also see a dramatic change in the overall appearance of their face. The square, severe appearance of their lower face softens into a more normal and aesthetically pleasing jaw line. The entire treatment only takes 10 minutes. It is a scheduled medication and needs to be administered by our specially trained doctor. No anesthetic is required. You can return to your normal activities immediately afterwards. Visible effects take place within 2-4 weeks, and full effect will be visible after 4 weeks. Expect to pay R70 per unit.